The new academies minister has encouraged academy trusts to team up and expand, and said they should aim to run between 12 and 20 schools, even if it means a loss of autonomy. Lord Agnew told the North Academies Conference in Gateshead yesterday that he believes the “sweet spot” for multi-academy trusts (MATs) is “somewhere between 12 and 20 schools, or something like 5,000 to 10,000 pupils”. He used his speech to urge northern MATs to “think seriously about teaming up”, and pointed to the 66 MATs with two or fewer schools and 86 single academy trusts in the region. Although he accepted this would mean a “certain loss of autonomy” for some trusts, he said he was “certain” it was the way to “strengthen educational provision”. The minister said his personal experience as the founder of the Inspiration Trust had taught him that expansion allows trusts to “harness the energy of individual teachers and deploy them across several schools” and that the “collective firepower of a bigger group makes a huge difference”. MAT expansion can be a contentious issue. Ofsted has raised concerns that expanding too quickly can lead to poor performance in schools, while the DfE has put nearly 60 academy chains onto a pause list in order to stop their growth. However, Agnew insisted that the MAT model “has the potential to be the most powerful vehicle for improving schools quickly”. He also used his speech to congratulate MATs and sponsors for their successes in improving struggling schools. Those bidding for school improvement or MAT growth funding would have to prove a “strong track record” to access the cash. They must also demonstrate that schools receiving support will be able to carry on improving when the funding ends, he said. 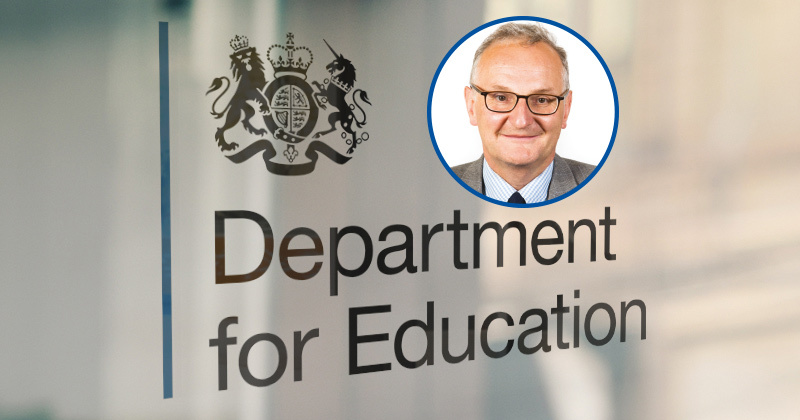 An investigation by Schools Week last month revealed that the DfE’s own guidance on the new £53 million MAT development and improvement fund conflicted with its insistence that only those with a track record would be eligible. The guidance states that trusts should be assessed on their plans for school turnaround and other factors like value of money and sustainability, but not specifically on their “track record” of school improvement. The majority of schools are still not academies. Any improvement in these schools is not, therefore, down to MATs or sponsors. It’s unacceptable for a schools minister, even one who is responsible for a sub section of state schools, to ignore or worse, denigrate, other types of school. Sorry, but from the look of it Lord Agnew is the academies minister. Unless I’m missing something, his brief is presumably limited to academies rather than, say, the Secretary of State for Education who covers all types of schools. I didn’t see anything in this story showing him denigrating other types of school, but given his role I’m not really surprised he’s concentrating on academies.